So I spent the last week / weekend sailing in the 2015 C-15 Nationals, an event I first sailed in way back in 1978. Whew. 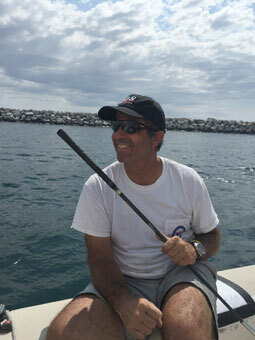 We didn't win, and although I almost killed my crew (longtime friend and fellow sailor Don, who is always the center of good stories) we did have some good moments too (best one, port tacking the entire fleet with the right side favored). It was so much fun, we might even do it again ... in another 35 years. What can I say about the Iran deal that hasn't been said elsewhere by others already? It's a horrible deal, truly Munich for our time. (This refers to the Munich agreement made by Prime Minister of the UK Nevil Chamberlain with Hitler's Germany, an appeasement which didn't work, and led directly to WWII.) We know it will enable Iran to develop nuclear weapons, and we can only hope it doesn't lead directly to WWIII. Brings to mind the remark by Albert Einstein, that he didn't know what weapons would be used in WWIII, but he thought WWIV might be fought with sticks and stones. Sigh. The worst part is I'm entirely unclear on what the US gains from this deal. It seems the only benefit is that President Obama can claim to have made a deal with Iran, and that's of no use to anyone. 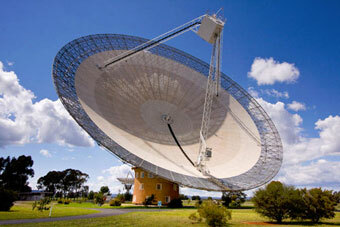 Hmmm: Stephen Hawking and Russian Billionaire start $100M search for aliens. So be it. I for one hope we find life "out there", but I am not optimistic. Far more likely that they will find us, after we have advanced sufficiently, but I don't think we're quite there yet. I think the answer to Fermi's Paradox, "where is everyone", is that they're out there, but we're very (very!) far apart... and will need advanced tech merely to find each other, let alone communicate. Meanwhile: Asteroid Mining company's 1st satellite launches from space station. And no, that's not an Onion headline nor a movie. What a great time to be alive. In re Apple design trends, this progression of iTunes icons speaks for itself. 2015 is definitely the ugliest, and I'd pick 2006 as "peak icon". As Ghandi once said, "half my quotes on Pinterest are fake". Ah, but which half?